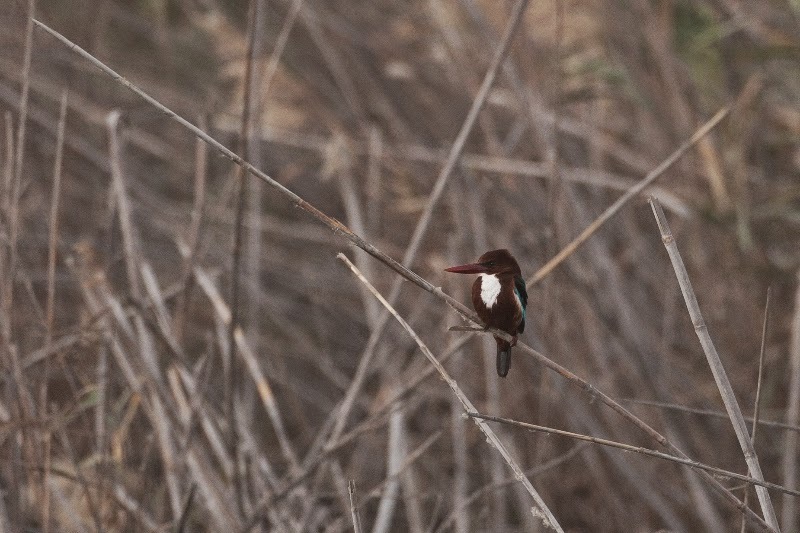 Phil Roberts found a White-throated Kingfisher whilst birdwatching at Sabkhat Al Fasl on 1 January 2014. He then went back the next Friday 9 January and found two birds. 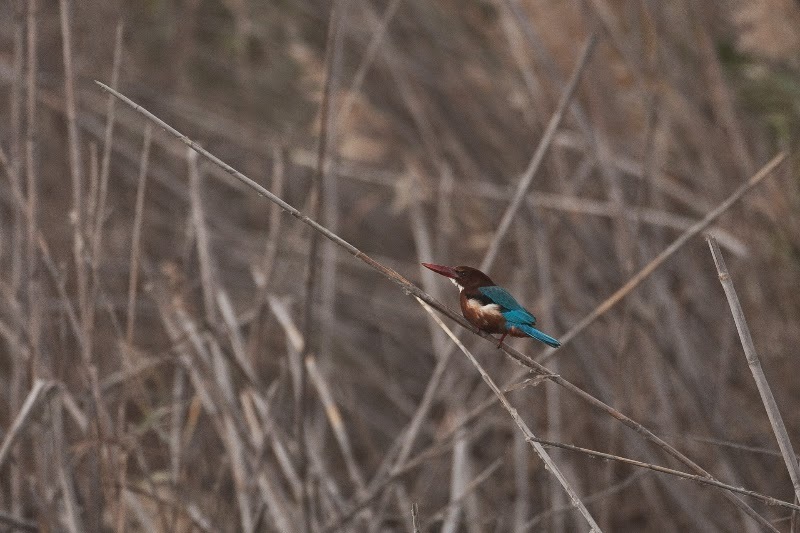 White-throated Kingfisher was classed as a vagrant to the Eastern Province of Saudi Arabia (Bundy et al 1989) with two records one at Dhahran 4-5 October 1984 and one overwintering at the Dhahran Hills percolation pond early November 1985 until March 1986. Since then there have two records at Sabkhat Al Fasl, one in November 2006 and one 21 August, 4 September & 18 September 2009. At Sabkhat Al Fasl the species was seen at each visit in August 2006 with probably 10-15 birds present with breeding thought likely to be confirmed at the site in due course (Jennings 2010). One was in Dhahran in December 2008 with other records from Dhahran Hills Park. 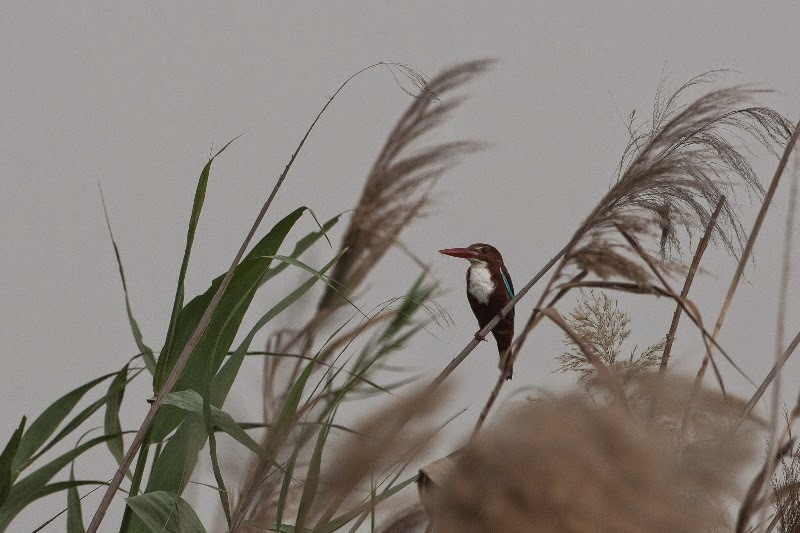 After this date records the species become rare in the Eastern Province but since 2012 birds have again been seen regularly mainly in the Jubail to Dhahran areas. The below photographs were taken by Phil Roberts at Sabkhat Al Fasl and is used with his kind permission and although the light was poor for photography due to the previous days dust storm the photos show the two different birds (top photo is bird 1 and bottom two are bird 2).